The Expert Advisor is based on the theory of probability that the price always tends to return to its mean. 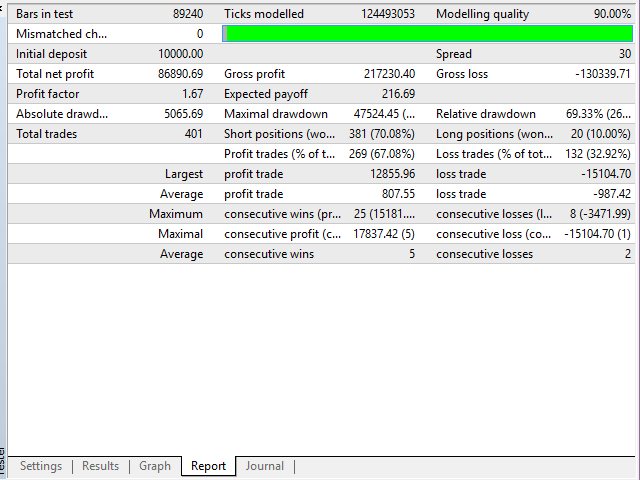 Firstly, the robot determines the direction of the main trend using a number of built-in indicators. After that, it calculates the corridor where the price oscillates most of the time and opens positions along the trend only within the designated corridor. One of the EA features is that it is able to trade multiple pairs in one trade series. You can start the robot on dozens of currency pairs, and it will open positions on different pair in the same manner, as if it was trading only one pair. All orders are closed when a certain percentage of the total profit is reached. To implement this method, it is necessary for the order identifier of all currency pairs to be the same. To trade independent series of trades on different currency pairs, the order identifier must be different. In cases when the robot stands against the main trend, which may happen during sudden price reversals, the EA opens a locking position along the trend. If the price reverses and moves back after the locking position had been opened, another locking position is opened, also along the price direction, and so on until the entire trade series is closed with a certain profit percentage. 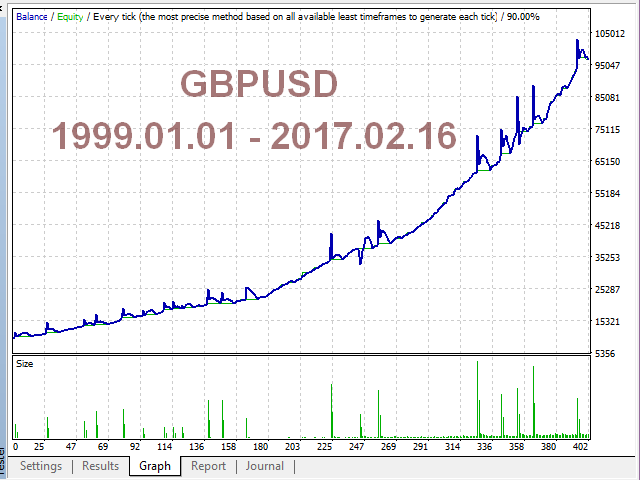 By default, the robot is configured for working with the GBPUSD pair on the М30 timeframe, but it can be configured to work on any pair. The Strategy Tester provides only a distant view of the EA operation, as multi-currency testing is not available in MetaTrader 4. Also, the strategy tester does not consider the news releases. MaxTradesLock - the maximum number of locking orders in the series. Recommended deposit for the most secure trading is from 1000 UDS per 0.01 of the starting lot.